As our parents and loved ones get older, life throws them many a curve ball – downsizing to a smaller home, financial scams, and increasingly complex technological gadgets, just to name a few. But certainly nothing is nearly as disconcerting as the onslaught of health-related issues, including the sneakiest of all: dementia and Alzheimer’s disease. Unlike many health problems that are discovered quite suddenly, dementia comes on gradually, often with signs that are confusing and easy to miss. What’s more, the symptoms most people associate with dementia – memory loss, confusion, and disorientation, etc. – are not the only indications that Alzheimer’s or dementia is taking hold. Other symptoms may include delusions, agitation, sleeplessness and extreme personality changes that can drastically impact an individual’s living situation. Whether your family member is living independently or is already in a retirement or assisted-living community, you may realize she or he has specific needs that aren’t being met. That’s a good indication that it may be time to start investigating whether your loved one could benefit from a Memory Care facility – one that’s structured, licensed, and staffed to handle the increased demands of patients with Alzheimer’s and other forms of dementia. The number-one concern family members have about a loved one with Alzheimer’s or dementia is their physical safety, caregiving experts say. People with Alzheimer’s, dementia, and memory loss become confused, wander, and become agitated and even physically violent very easily. These problems can put them into all sorts of situations where they endanger their health and safety. When evaluating your loved one’s situation, ask yourself how often each day you worry about them and check on them. If your loved one has fallen, had a driving accident, or suffered an unexplained injury, these are additional red flags. Managing medications can be hard enough for the average person in their 50s. For someone with memory loss, failing to take prescribed medications on schedule — or taking too much — can be life-threatening. Dementia also affects your loved one’s ability to prepare and eat a nutritious diet. Your family member may forget that they’ve just eaten a meal and eat another one right after or skip meals altogether. You may notice food on the counter that hasn’t been properly put away or dirty dishes left in the refrigerator instead of the sink or dishwasher. Is your loved one’s coffee table cluttered with untouched magazines? Are the bathroom shelves stacked with unused bars of soap? Are there little packets of sugar piled up in the kitchen or dining room? Repeatedly purchasing or collecting multiples of the same item is often an early sign that someone’s mental faculties are declining. Your loved one might buy something at the store then not remember on the next shopping trip and buy it again. An unwillingness to throw things away (“because I might need that someday”) can also be a sign that their grip on reality is fading. And, of course, if your loved one is showing signs of hoarding, that’s an even more serious warning to seek a safer living situation. Does it seem like you can’t take your mom out to eat, shop, or exercise because her behavior is so unpredictable. But at the same time, is she even more likely to be disruptive if she doesn’t have ways to be active and work out her energy? More often than not, the result is: she rarely goes out and is frequently restless and lonely. Welcome to the dilemma that leads many families to consider memory care. Professional memory care staff are trained to use distraction, redirection, and other techniques to keep residents calm and safe. Their programs are designed to provide activities and stimulation – including trips and outings – that can help your loved one be active without you or others turning to medication to calm her down. Another symptom of dementia is the fear of driving which isolates individuals even further. In a memory care facility your loved one will have supervised transportation whenever it’s needed. When you hug your family member, does she or he feel different? Weight changes, frailty, hunched posture, and moving with difficulty can all indicate that your loved one’s ability to navigate the world is declining. Forgetting to eat or gaining weight because of eating again and again, as mentioned before, can change appearances very rapidly. Hunched posture and moving slowly can be signs of uncertainty — does she know where she’s going? Oddly enough, one of the strongest clues that your loved one is losing the ability to care for herself or himself may be right under your nose. Specifically, body odor if they have neglected to shower for a while. If your usually clean-shaven father starts sporting a few days of stubble like an actor, he may be forgetting to shave or even how to shave. Likewise, if your formerly well-coiffed mother begins to look shaggy, she may be missing or forgetting to make her regular hair appointments. Look for other changes in appearance as well, such as unwashed or wrinkled clothes, or maybe putting clothes on backwards or inside out. Falling behind on financial matters is one of the first signs of dementia for many people. Look around. Is mail piling up unopened? Or worse, do you see creditor envelopes or collection notices? Look for unpaid bills and check to make sure that taxes and property taxes have been paid. If possible, examine bank statements for signs of unusual activity. People with Alzheimer’s and dementia are easy targets for hucksters, scammers, and unscrupulous salespeople. If you notice that your loved one is making strange purchases, giving to new charities, or investing in questionable financial products, these can all indicate the onset of memory loss and other dementia-related issues. Some shady charities will approach seniors over and over again, especially if they detect a hint of dementia. If your loved one doesn’t remember donating, he or she may contribute each time out of the goodness of their heart. Whether your loved one lives independently or in senior living, keep a close eye on the physical environment as well as your loved one’s hands and arms for burn marks. Memory loss makes it much more likely that someone will leave a burner on or drop a dishtowel on top of a pilot light and not notice the smoke. If your loved one smokes cigarettes, check blankets, mattresses, floors and counters for scorch marks from dropped cigarette butts. Also look for stains, mold, and other signs of water damage that could indicate water running until a sink or bathtub overflows. Even spills that haven’t been wiped up suggest loss of attention. And if a garden or houseplants die because no one remembers to water them, that’s a telltale sign as well. No matter what the signs or symptoms, a loved one’s memory loss is a very difficult topic to approach. Even if they frequently repeat themselves or forget your name, he or she might simply deny any problems or refuse to discuss the situation, as they almost never recognize the symptoms themselves. To complicate matters, your siblings might not see the same evidence and disagree about whether there is a problem or not. If you feel it’s time to make a move, keep trying to have the conversation about memory support and ask your loved one’s doctor for a respected neutral opinion. 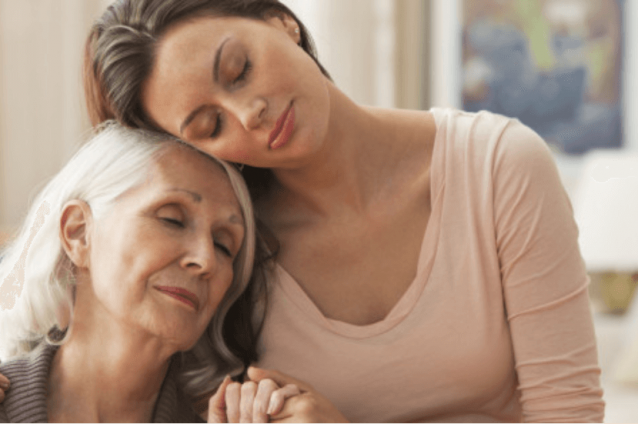 Once you weigh the options and consider the pros and cons of home care vs. a Memory Care community, we think you’ll agree that Memory Care can provide your entire family with greater peace of mind. Check back next week when our two-part series on Memory Care focuses on how to choose the right facility. This blog was first published here: Sunshine Retirement Living, July, 2018. Some information sourced from grandparents.com and seniorlivingresidences.com.